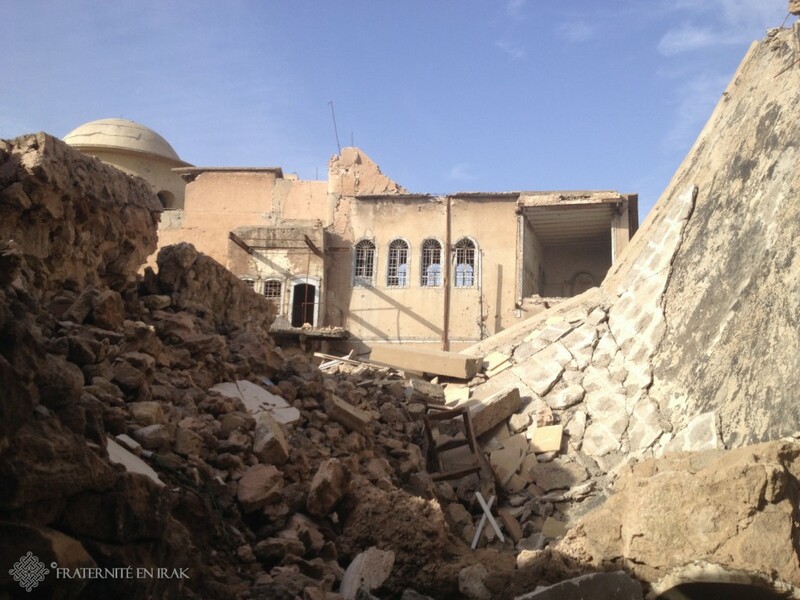 Guillaume, architect for Fraternity in Iraq, has been able to get to Mosul twice to assess the state of the old Syrian Catholic church, Al-Taheera. With your support, the NGO wants to restore its structure. Here’s why. Located in the West district of the city, the most affected by the battle between ISIS and the international coalition, this very old church whose origins probably go back to the 7th or 8th centuries is adjacent to the much larger, « new » church Al-Taheera. The latter was built in the nineteenth century and is, for a large part, collapsed. Our reconstruction project focuses on the old church, which is smaller but of greater heritage interest. It has the distinctive feature of being partially underground, attesting to its age. In what state is it? 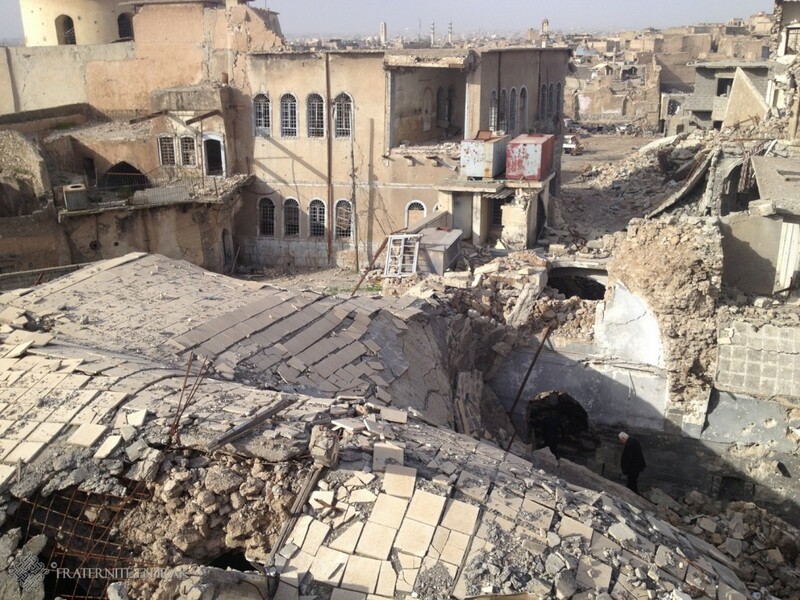 This church, one of the oldest in the city, is located in the area last held by ISIS. 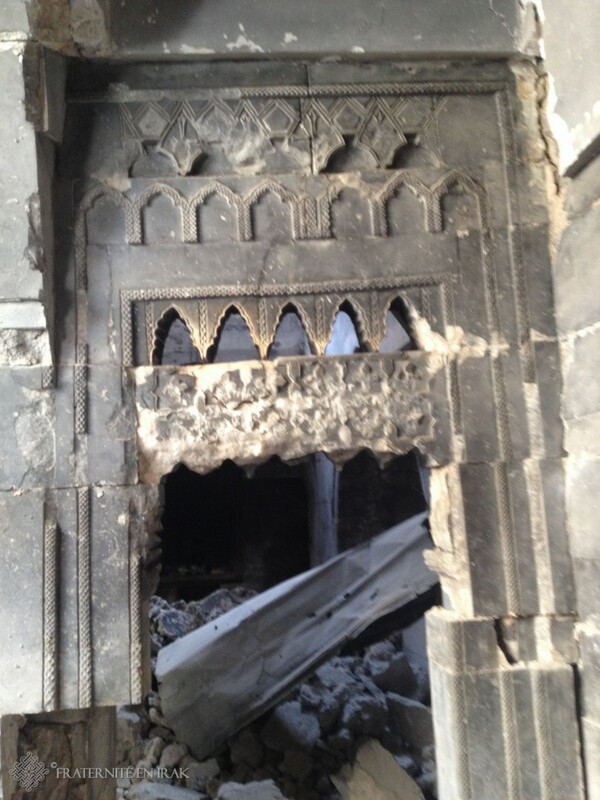 That part of Mosul was almost levelled in the fighting: it is therefore largely in ruins, but there are still some interesting elements, including at least two of the three arches between the nave and the choir as well as a number of sculptures. On the whole, we reckon we can rebuild by keeping a majority of the interesting heritage elements that must also be buried in the rubble. Inside the old church Al-Taheera, some elements have been preserved. One can guess its former beauty. 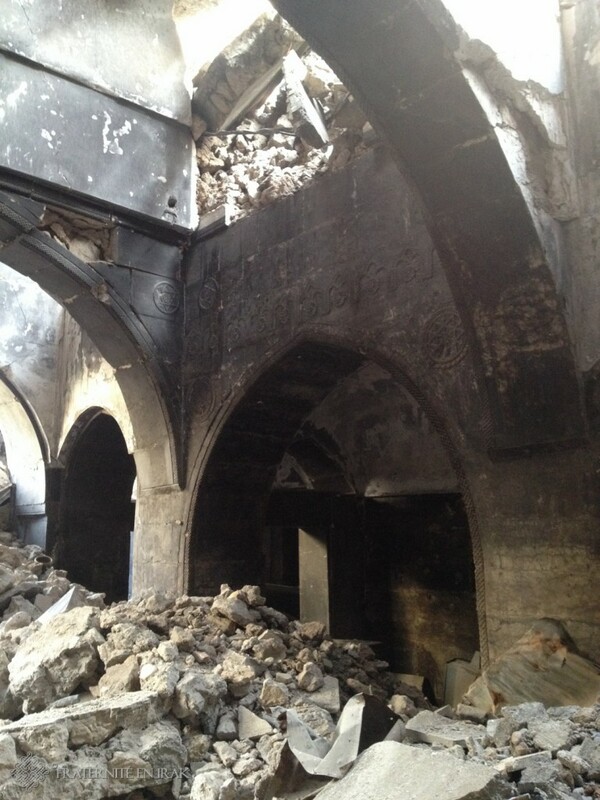 What would its restoration mean for the Christians of Mosul? This church seems to have a strong heritage value, and it would be a beautiful undertaking. 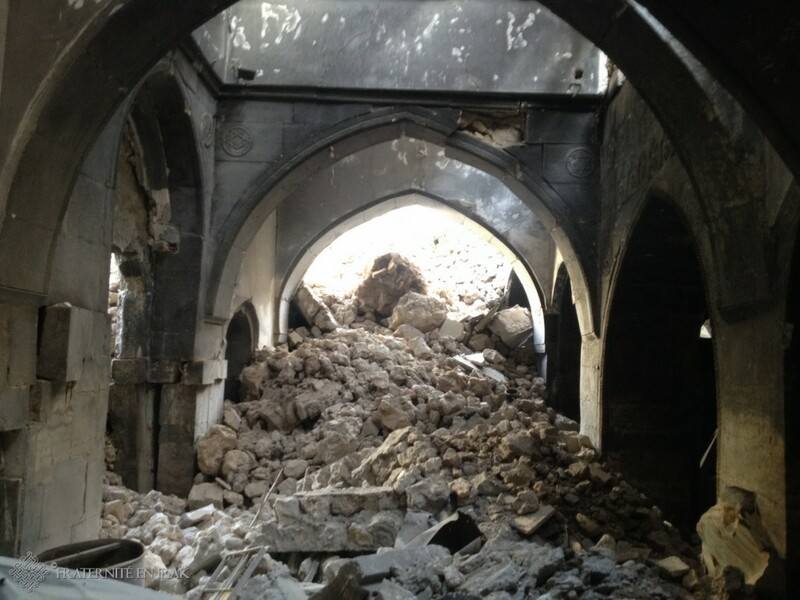 Bishop Petros Mouché, the Syrian Catholic Bishop of Mosul, decided to entrust the association again with that project because he reckons restoring the church is the « only hope of the [local] Syrian Catholic community ». The building is indeed the witness of the ancientness of the Christian – and more specifically Syrian – presence in Mosul. If no one does, it will probably end up in the rubble of the general clearance of the city, and it would be an invaluable loss. It would also be a strong sign for the other Moslawi communities, especially the Muslim: after the follies of the Islamic State, a good part of them would see in such a presence a pre-requisite for things to back to normal. 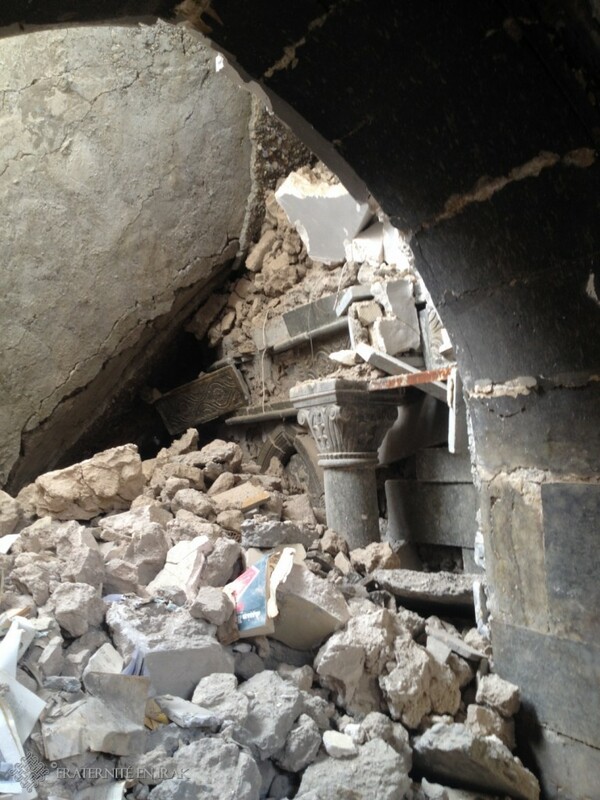 A view of the destroyed buildings belonging to the Syrian Catholic community: the bishop’s house, the new and the old church Al-Taheera. This project is huge. 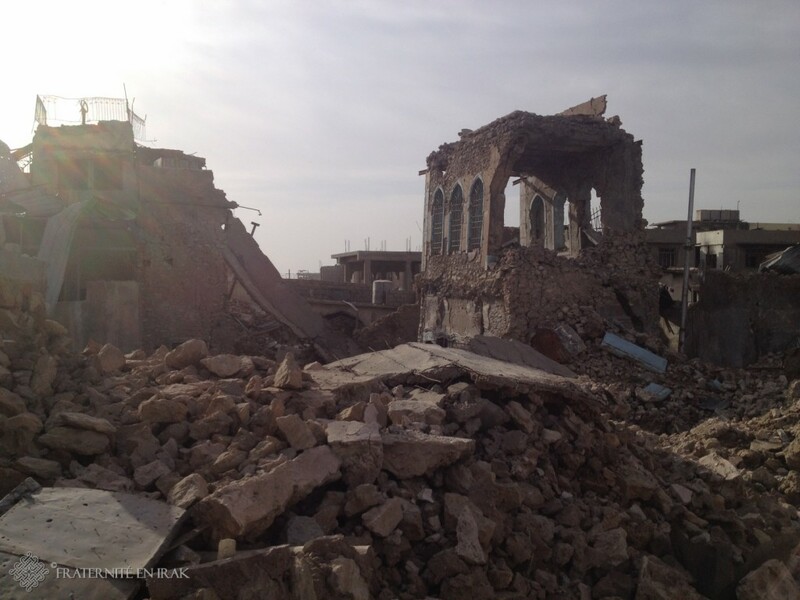 We need your help to give back a church to the Christians of Mosul! ← L’atelier de Luay s’est remis à tourner grâce à votre soutien !